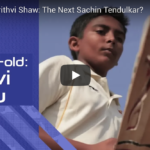 A look back at Indian batting star Prithvi Shaw as a 15-year-old prodigy. 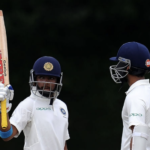 Indian teen sensation Prithvi Shaw’s century on Test debut was a remarkable achievement for an 18-year-old, but his approach to batting is one that suggests he is a special player to watch in the future. Prithvi Shaw became the youngest Indian batsmen to score a century on debut at 18 years of age before falling for 134 two minutes before tea. Prithvi Shaw, India’s 18-year-old opening batsman, will make his Test debut in the first Test against West Indies in Rajkot.